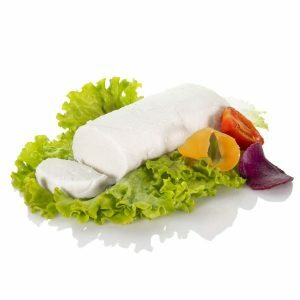 Our tasty and creamy plant based cheese. Our Vegan Spreadable Classic is an innovative product, first of the spreadable line with a light and delicate touch which imediatelly catch the favour of many vegan people but not only. Made from Germinated Whole Rice Grains it is similiar to other products of our line. It is made by an artesanal process so you might experience slightly different creamy texture. Vegan Spreadable Classic, like all of other Verys products, is a vegetable based alternative to cheese. 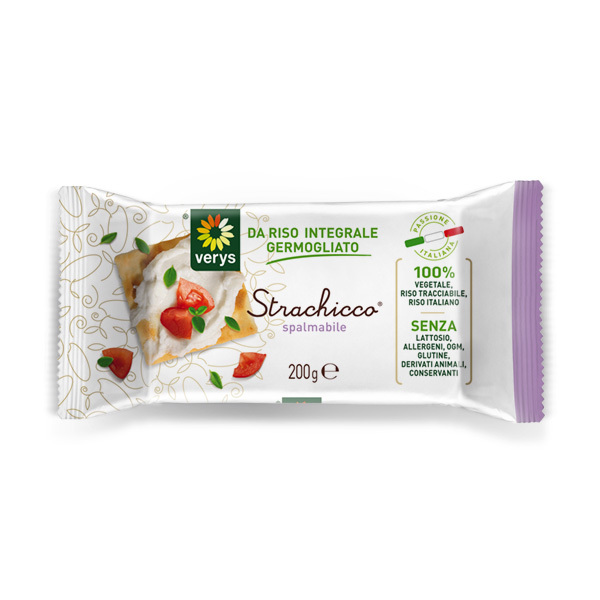 It is a 100% vegan product, fresh and pastourized product without colorants and preservatives. The core ingredient is Germinated Whole Rice, certified by EU of Biologic Agriculture origin. You can find it in the cold area of supermarkets or in the Vegan corner. During its production not a single synthetic molecule is used. 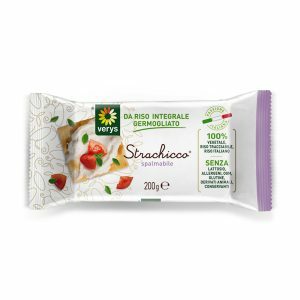 Vegan Spreadable Classic is light and delicate, soft and spreadable, it recalls the classic “Stacchino” cheese. It is ideal for those who have milk, lactose, gluten or soy intolerances. For having a soft texture is particularly suitable for those who have mastication problems. It is made from Greminated Whole Rice from which comes all its nutrients such as fibers, vitamins and oligominerals. Everybody can enjoy it: younger or elder. Try it into the soups for your infant or anyhow you like it. Pair it up with fresh or steamed vegetables, ligumes or simply spreading it on some bread or crakers for a fancy snack! Olives and tomato perfectly match its texture and taste. It can be useful to prepare vegetable bechamel or soups to garnish pasta and cereals. Once opened is best within few days.